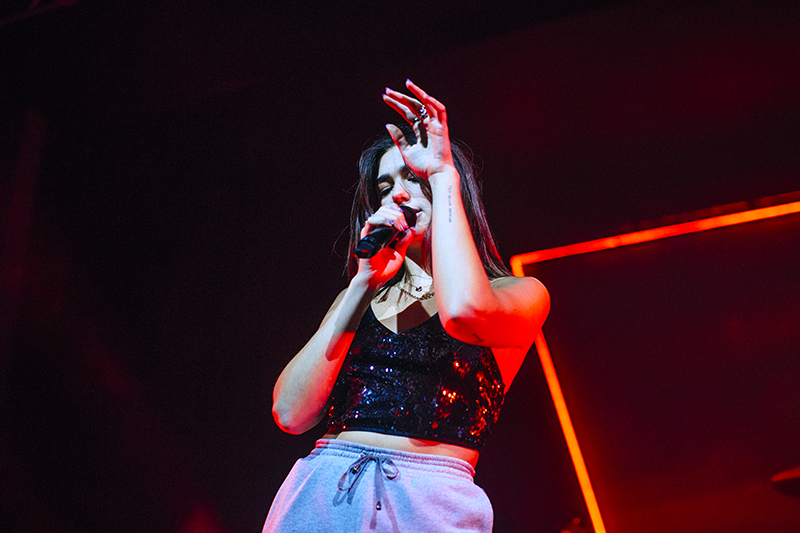 Traffic fighting fans overflowed a sold out Birmingham’s O2 Academy to hear female powerhouse Dua Lipa for an amplified evening of dance euphoria. Anticipation set in for the 3,000 plus fans that awaited the hum of electrica pop infused songs. 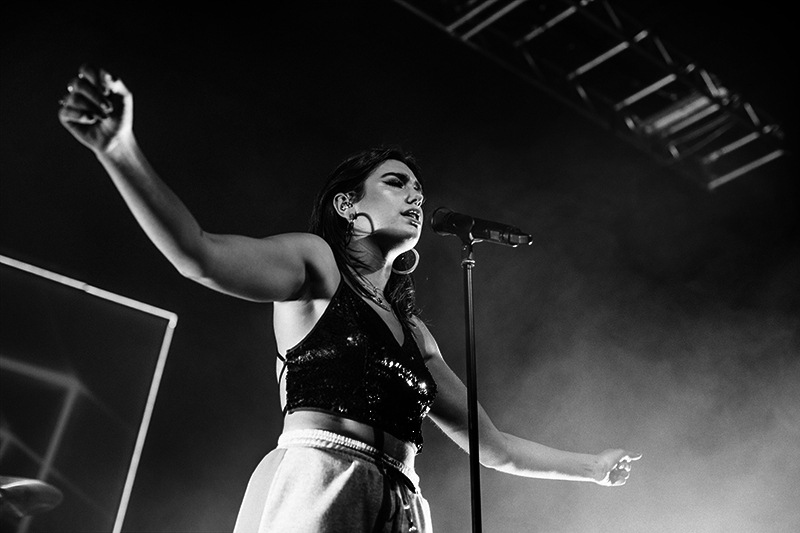 An elongated intro built up an intensity of screams from a diverse crowd, the feminine dance anthemist seemingly compatible with a youthful crowd from 13 going on 30… plus a cupful of unamused parents in their 40s. Entering the stage a drummer and pianist brought about an explosive beginning with an entrancing sycronised headbanging and drum lashing movement topped off with a fiery orange strobe that introduced first song Hotter Than Hell. The gorgeous ex model strutted the stage and ignited the crowd in a sparkly crop top and baggy trackies that exuded sass. Word for word the audience regurgitated the lyrics whilst the heavy bass vibrated the back of our throats. 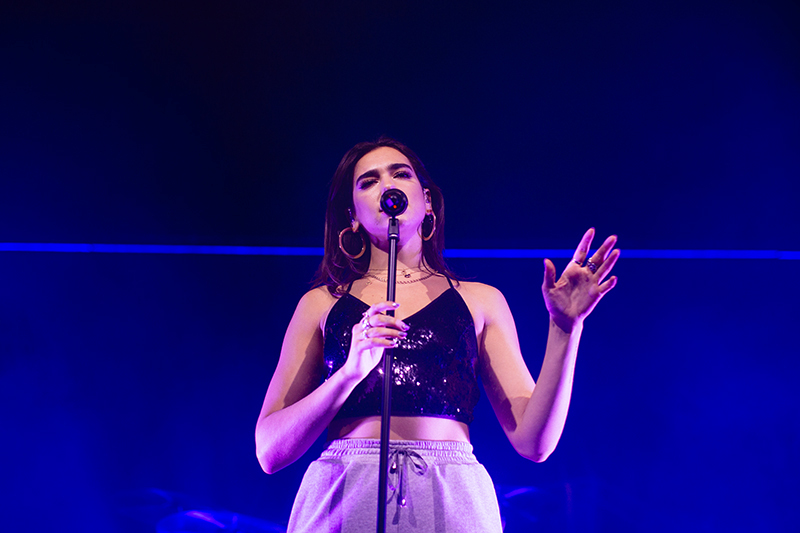 Second song Dreams showed off Dua’s vocals where she demonstrated the range of her pipes blending into the chorus of No Lie. There’s no doubt that this girl brings the party, her hair whipping energy threw us into a magnetising beat that we lost ourselves in. Sweating amongst the jumping bodies and squinting through the mist of blue hued smoke to get a glimpse of Dua in full dance mania, I’m transported into a clubbing rave, as if im watching my alter ego take to stage to rock out, no holding back after sipping a few too many cocktails. Appropriately timed track Lost In Your Light slows the tempo of her thundery set alongside a soft piano backed Garden, that proves the flexibility of her vocal talent. Setting the calm before the storm, the audience are soon recharged and our inner divas come out in Blow Your Mind – a fiesty dedication to females everywhere. A screen projection behind her plays an epileptics nightmare of broken imagery. A treasured moment for one fan played out as the singer wished them a happy birthday, thankful to her fans she sung it loud to Birmingham’s crowd. Bringing an acoustic track into the mix is Thinking Bout You which infects us all with her bodily ora as the masses seemed to sway in unison. The intro to IDGAF grinds in our ears like a ticking machine with a military beat and a new toned gravellyness to the soloists voice reminiscent of Ella Eyre’s. 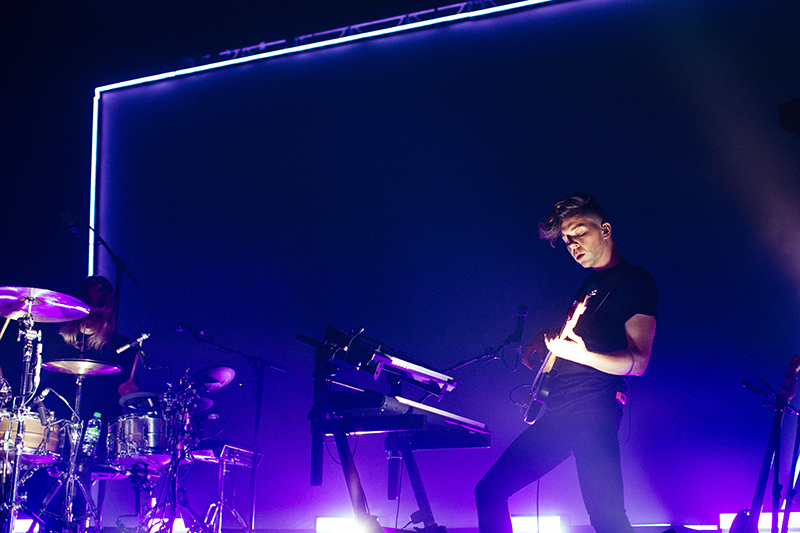 Begging outros the set with a high similar to the elevated feeling you get of going to a Years and Years gig, the audience cheered, clapped and danced obediently. 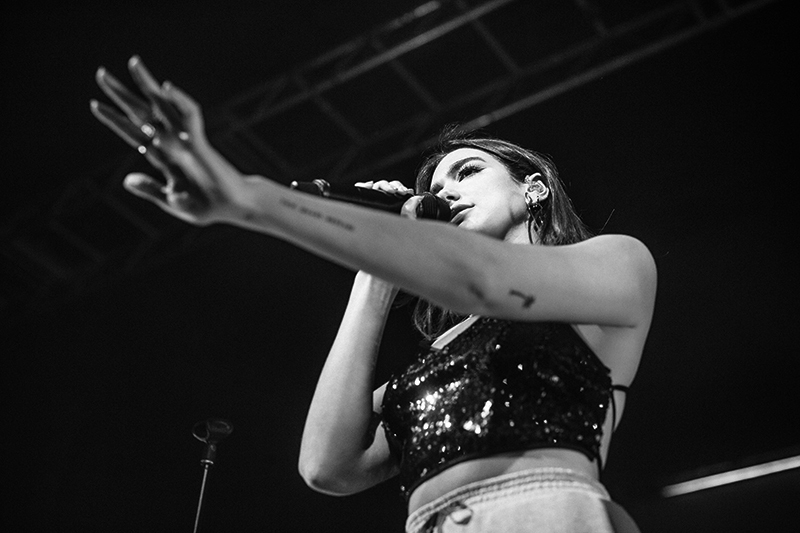 Existing the stage, a blistering hurricane of “We want more!” chants unfolded, and Dua Lipa sprung back into place to a give us one last pick me up. Starting her encore trio off with Homesick a beautifully composed slow track, we see her lay bare her vocals with a quieter accompaniment. 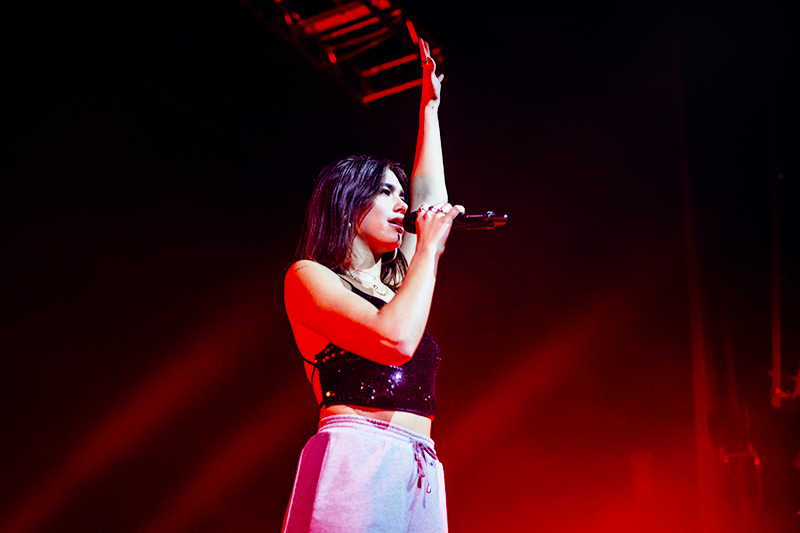 Be The One throws us back to summer vibes whilst Dua leaves us ladies (and lads) with some New Rules. Remembering our basic maths we learn ‘1, 2, 3’ rules that all girls need to know. Encouraging us to get low to the floor we all crouch down ready for one last lighting strike from the dance queen which throws us to our feet and ends the set. If you aren’t yet fluent in the tongue of Lipa then stick in your headphones for a party in your brain. 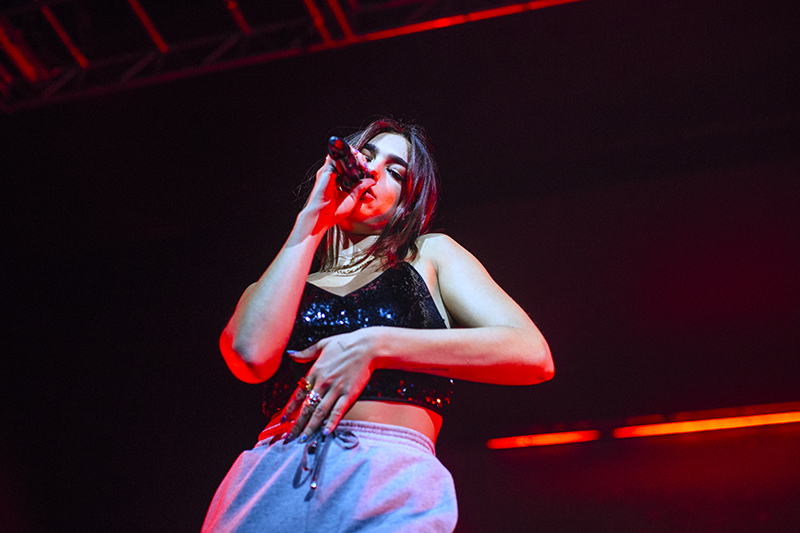 A decent review on a concert at which I was present, certainly better than those in the national and regional press which seem to focus more on Dua’s attire and looks than her singing (which is exceptional), and the very good backing band. Some good photographs, also. 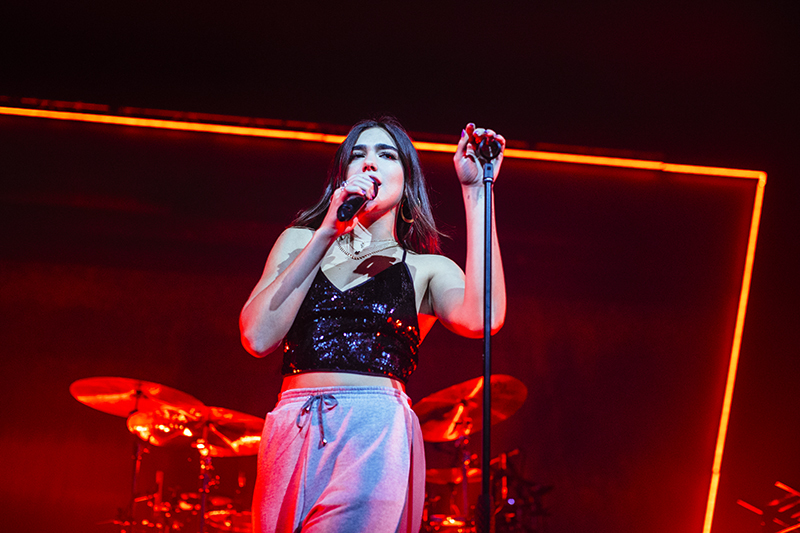 Just one comment relating to ‘unamused parents in their 40s’; I am aged 59 and have already seen Dua Lipa three times this year, with tickets for Brixton on 6th November as well. The two gigs I’ve so far attended on this tour I’ve been accompanied by my 58 year-old wife. Whilst I acknowledge Dua’s fan base comprises principally teenage and early-20s females I feel her music appeals to a very wide age range. 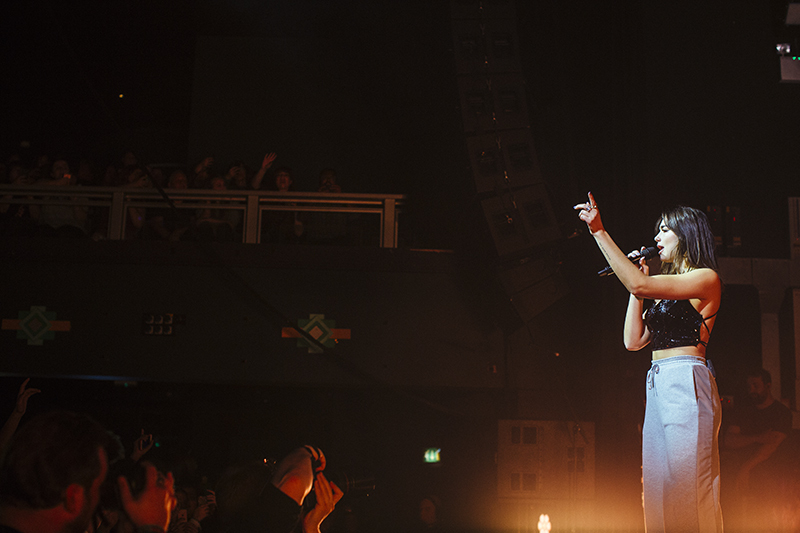 She has clearly been very well brought up, being part of a close knit family, and having been a lover of live music for 44 years believe she is easily the best new live act of the past ten years.